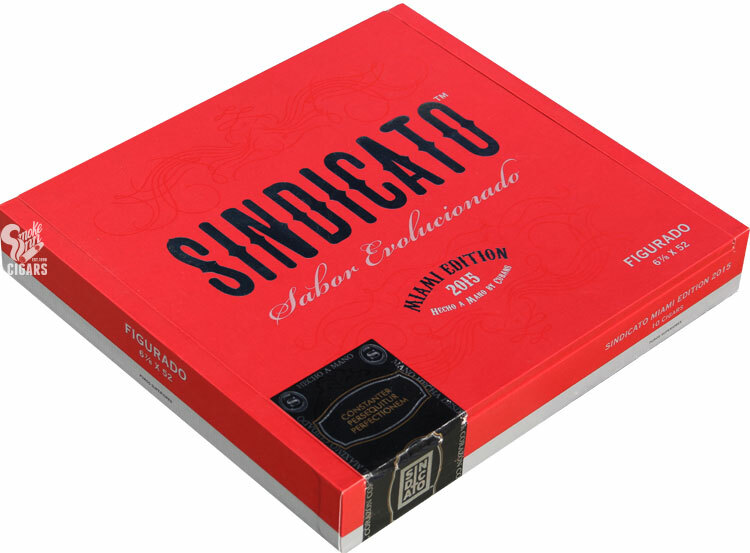 Following up the massive success of Sindicato’s eponymously titled Sindicato and Sindicato Maduro cigars released in 2014, the brand now introduces its first-ever limited edition offering—Sindicato Miami Edition. For this special release, the brand once again teams up with the legendary Casa Fernández, this time moving from their Nicaraguan factory to US soil—Casa Fernández Miami. Sindicato takes advantage of Casa Fernández’s expertly skilled torcedors, shaping the cigars in 6⅞” x 52 Salomon vitals. The gorgeous construction is met with a composite blend, utilizing features from both the Sindicato and Sindicato Maduro. A Shade Grown Jalapa Corojo wrapper (same as Sindicato) surrounds a double binder of Jalapa & Estelí tobaccos with fillers to match (borrowed from Sindicato Maduro). With a superior blend and outstanding construction, this is a blend connoisseurs have ben itching to get their hands on since its announcement at 2015’s IPCPR. Stock of Sindicato Miami Edition is very limited, secure your order while supplies last.